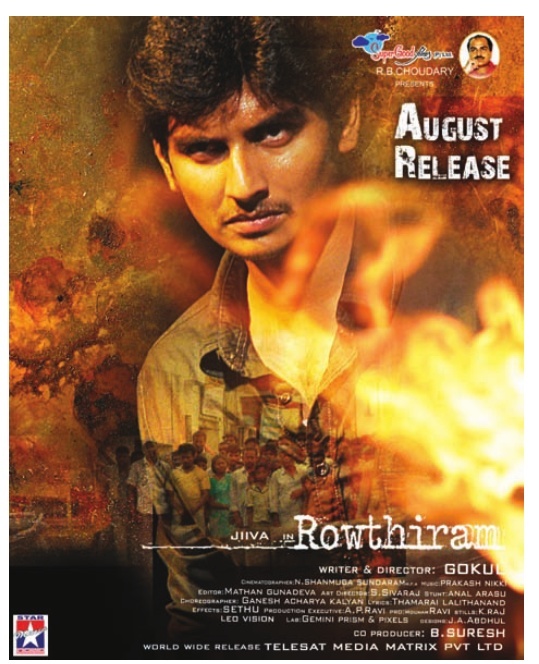 Jeeva Shriya Saran starring Rowthiram Movie Release Posters. Directed by Gokul and Produced by RB Choudary. Music scored by Prakash Nikki. Rowthiram Tamil Movie Release Date 12th Aug 2011.